This is another pretty vintage image from my favorite (and oh so secret) antique shop in Pennsylvania. 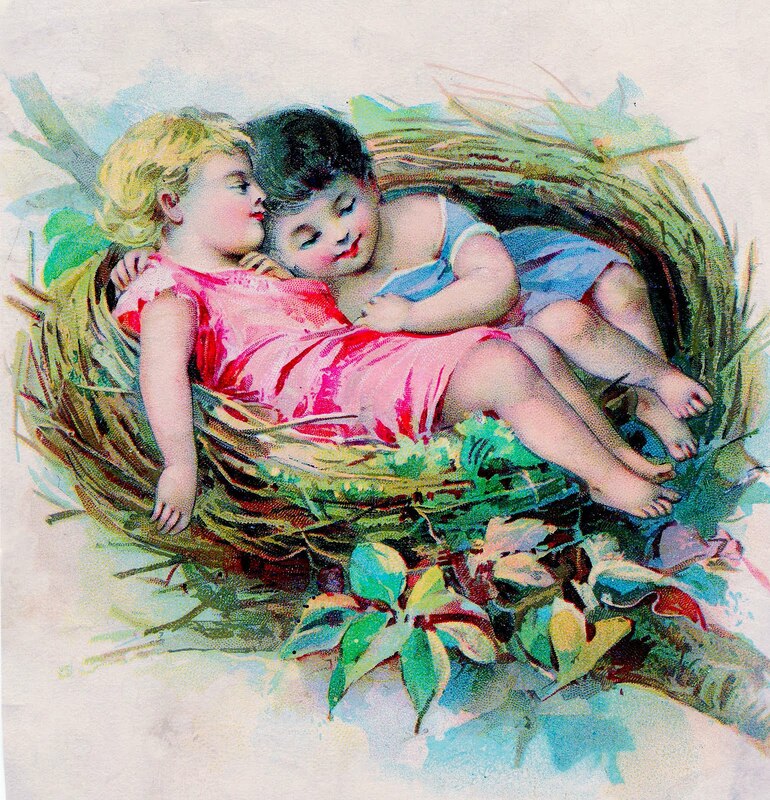 This charming piece features two sleepy children napping in a bird nest! Big Eyed Victorian Girl Image – Stunning! 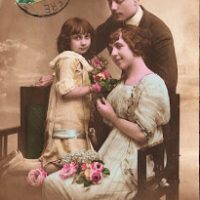 Vintage Postcard – French Family Amazing Vintage Blue Feather Image! Wonderful blog you have here….I am now a faithful “follower”…….